This photograph was collected by 19th century photographer, William England, and by descent to Mark Mitchell. It was on long loan to the V&A from 1982 to 2013. 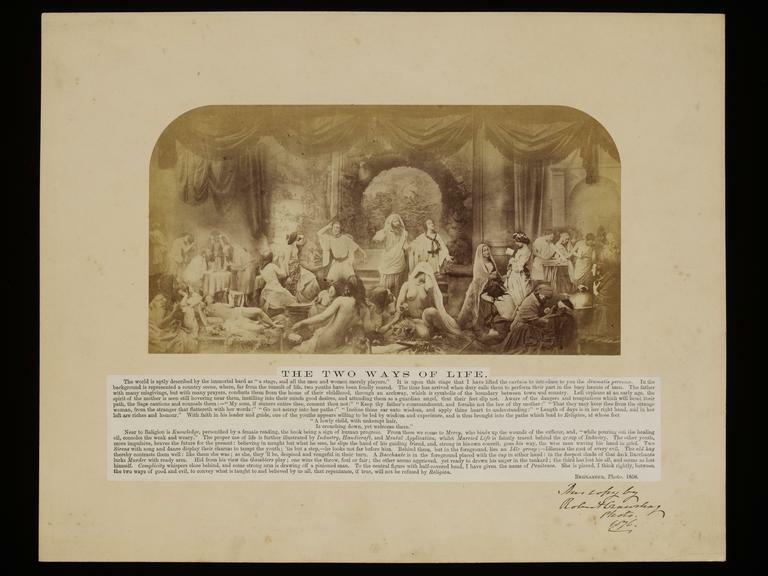 Oscar Gustav Rejlander (1813-75) 'The Two Ways of Life' 1857; 1872 copy print by Robert Crawshay (1817-79). 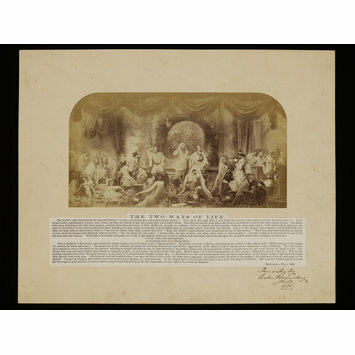 Albumen print. This is a small-scale copy of an astonishing feat of ‘combination printing’. 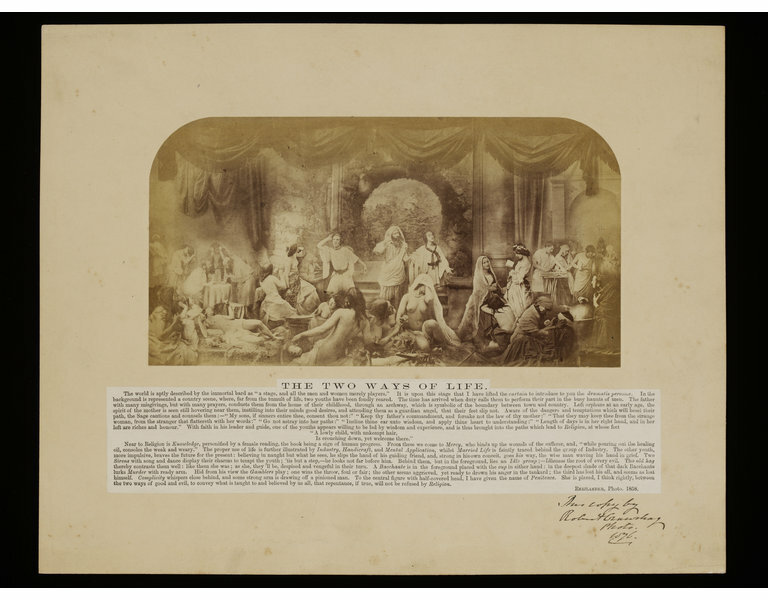 The original was constructed from over 30 separate negatives, each exposed independently but printed to form a unified picture so large it required two sheets of paper joined together. It showed that a photograph could be composed in the manner of painting. The moralistic subject of two brothers choosing between vice and virtue also indicates the work’s high art aspirations. An original photograph by Robert Crawshay is also on display in this gallery.